Wink Slots Casino is an exciting entertainment hub like no other and offers its members a whole mixture of the most impressive online games, guaranteed to satisfy the inquisitiveness of all new and veteran gamblers. Anyone currently searching for more ways to expand your winning horizons can now sign up and at the same time, take advantage of bonus benefits as well as many privileges available exclusively to Wink members. Plenty of alternatives fluctuating from free spins to other cash bonuses can drastically increase your chances of winning at Wink, plus NetEnt fans will undoubtedly be impressed with the selection of titles available. The casino lobby offers exciting news on the latest winners, latest released games, trustworthy deposit methods, and progressive jackpots reaching dream payouts. Operated by Cassava Enterprises, the casino provides online players with an entirely safe environment and adheres to rules set out by both its licenses, granted by the Gibraltar Gambling Commissioner, and the United Kingdom Gambling Commissioner. 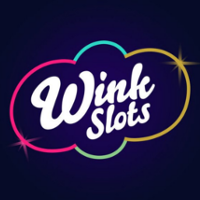 Wink Slots are offering an inciting 30 free spins without needing to make a single deposit! You’ll have a maximum of 7 days to use them and winnings are capped at £100. A 30x wagering requirement applies to cash the bonus out along with any winnings. Currently, all players who register a new account have the opportunity to enjoy up to £100 in free welcome bonuses, plus get going with 50 free spins. This incredibly generous offer is exclusive to new players, and to qualify a minimum deposit of £20 is required. It’s as simple as registering an account, making a deposit of £20 or more up to £100. Your 50 free spins will be instantly credited to your account, which can be used on the slot game, Kingdom of Cash. Happy spinning! Featuring all the most popular titles from NetEnt, Dragonfish, 888 Gaming, WMS, and Cryptologic, the gaming range offers slots, casino games, big jackpots and bingo. Slot sub directories include, new, popular, wink picks and play for free. By adding the latest releases regularly, the Wink Slots Casino keeps its gaming library updated and extra exciting. New titles currently include Epic Monopoly II, City Life, Jimmy Hendrix, Asteroids and Siberian Storm. Popular games include Jack and the Beanstalk, Guns N Roses, Twin Spin and Gonzo’s Quest. Visiting the casino section reveals a great selection of both live and table games. In live games popular titles include Roulette, Live and Multi-hand Blackjack, in addition to baccarat, keno, video poker and blackjack. The big jackpot section offers an impressive selection of million makers, including Double Up Ducks, Saved By The Bells, Superman, Mega Fortune and a Nightmare on Elm Street. Cassava Enterprises Limited operates the website and is licensed by the Government of Gibraltar to provide online gaming services. All games offered are also regulated by the Gibraltar Gambling Commissioner. Cassava Enterprises is part of the European Union, where services operated by 888 UK limited are regulated and licensed by the UK Gambling Commission. Virtual Digital Services Limited functions under the auspices laws of Gibraltar. Wink Slots Casino offers an incredibly bright fun selection of games packed with bonus goodness and several exceptional promotions are available regularly. With top security systems to protect your privacy, excellent systems in place to guard your details, the casino seems like the perfect entertainment destination to escape to after a long tiring day.